If your hair is dry or dehydrated and gets frizzy at times, then this is the pack for you. Contains 250ml Signature Cleanser, 250ml Moisturising Conditioner and our fabulous leave in Smoothing Cream. 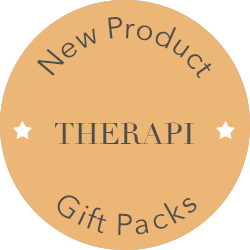 Our Therapi gift bundles are pre-packed in a Therapi pouch, making them the perfect gift or ideal for taking on a cheeky weekend get away! 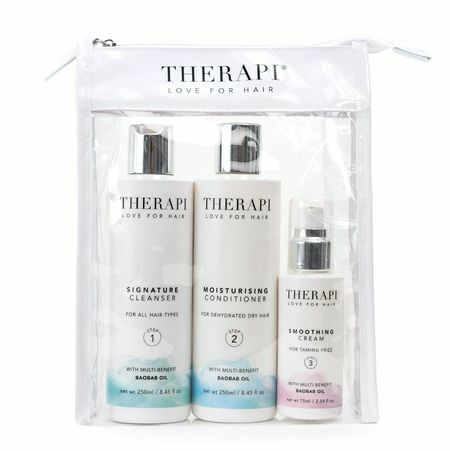 THERAPI products are enriched with Baobab Oil which has unique moisturising and anti-ageing properties, gently cleansing your hair without stripping away the natural oils. A volumising pack for fine or limp hair. A repairing strengthening pack for weak and damaged hair.